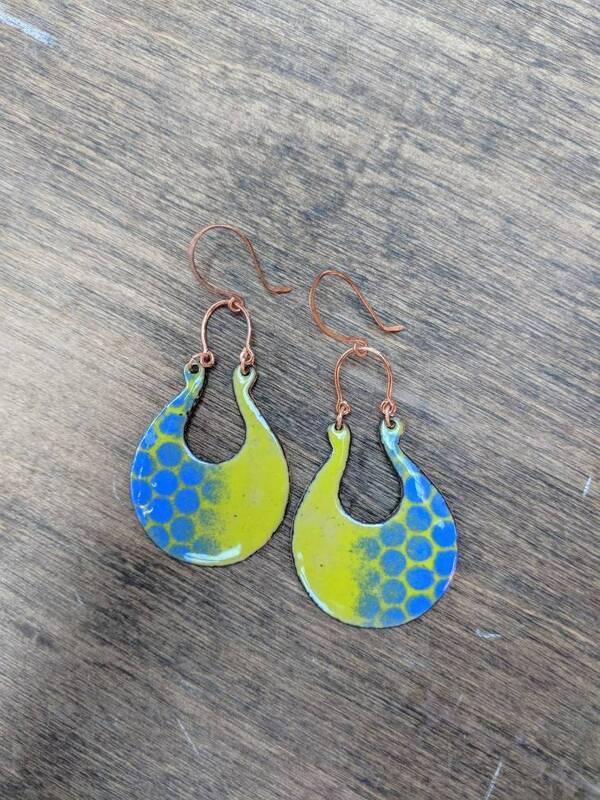 These bold earrings feature bright blue and spunky green enamel in a vibrant for pattern. 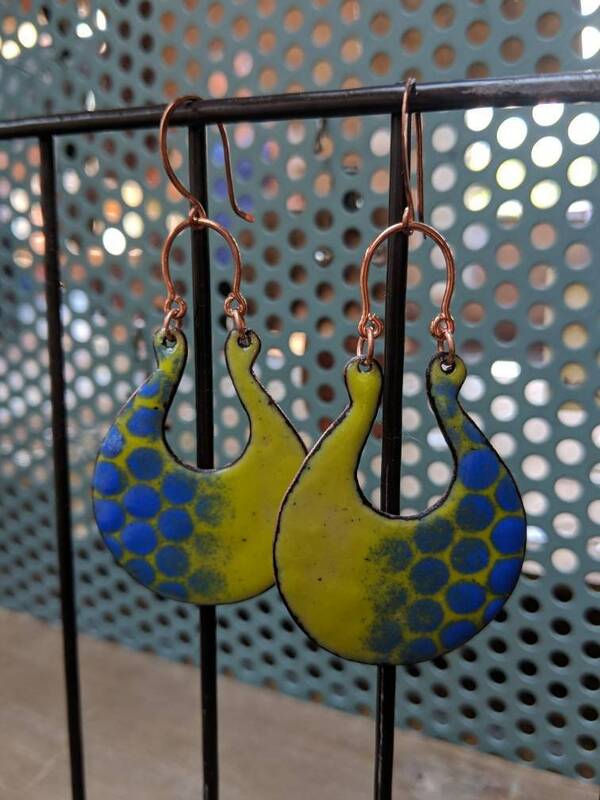 Light and full of movement, they are a great accent for any outfit. 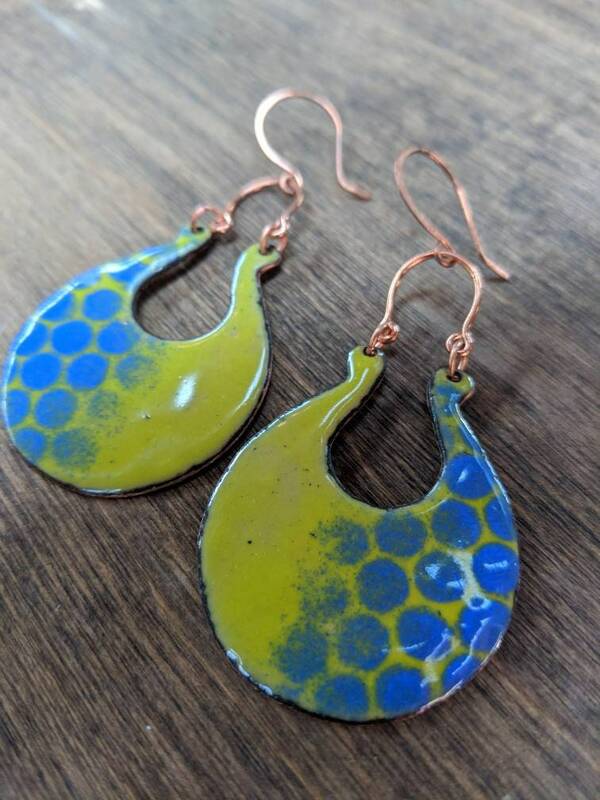 Earrings measure 3" in length, including hook.